21 Savage Spends $100k On Bed To Improve "Fortnite Posture"
The fringe benefits of a $100,000 bed and mattress combo, I couldn’t begin to tell you. But 21 Savage on the hand, he’s positioned well within that realm of expertise. The naturalized American reported findings of the like, in an Insta imbued with a fine touch of excessive pride. 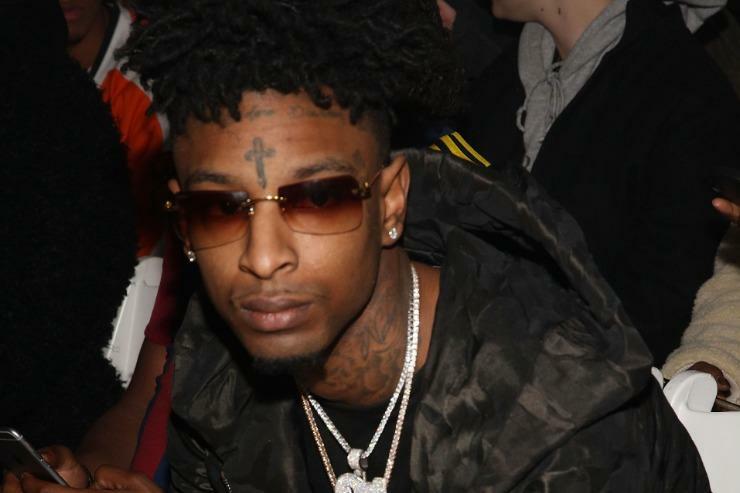 This what a $100,000 bed look like, got shades and all kind of things…” 21 Savage can be heard saying as he twirls his camera phone around the circumference of the room. In fact, to call it a room, would be to undersell the bed. From the looks of it, a $100k price point doesn’t just give you a memory foam mattress in a frame, but a fully-padded capsule the likes of which Michael Jackson is rumored to have installed in his mansion. Before we fall into tangential territory, it’s worth noting that $100,000 isn’t even the priciest bed on the open market. A few of the higher end models, bedframes or capsules go for double that in price. And to think, all this market inflation could have been prevented had the New York Times not published an editorial piece imploring “Sleep” as “The New Status Symbol” of the 21st Century. For what it’s worth, 21 Savage appears to be using his bed to play Fortnite in a comfortable setting, so don’t too far into things.